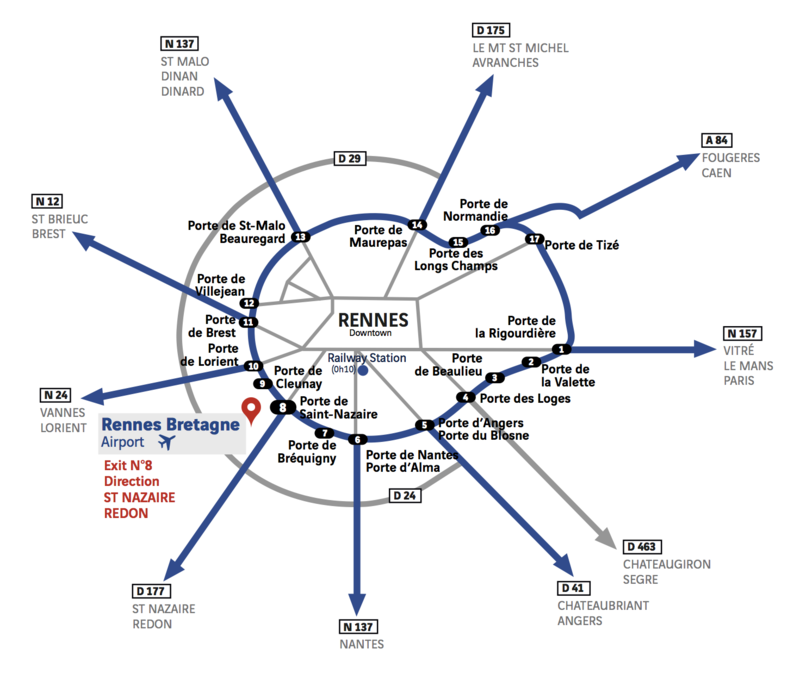 Rennes Bretagne Airport is easy to reach via the motorway network. It is located 10 minutes from the town centre, 50 minutes from Laval, Saint-Malo and Redon and 1 hour from Saint-Brieuc and Vannes, via the motorway network. On the ring road, take the n°8 exit towards Saint-Nazaire. The airport can be reached via the D29 and D34 main roads, following signs to “Parc Expo”.